Spacious castle with elegant staircase which reaches up to tower rooms. Measurements: 81 x 40 x 68 cm. 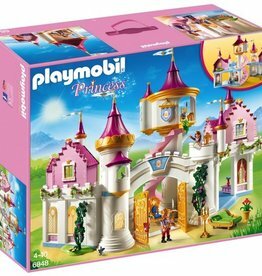 - Princess castle can be played with from any side and offers a luxurious home for the royal couple.